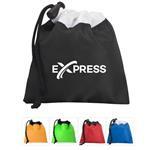 The custom Swim-Ease Neck Tote Sun Kit is the perfect promotional item for any outdoor company or corporate event. 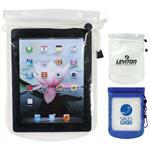 This kit hangs on a handy necklace and is contained in a waterproof tote. Contains one sunscreen and two Blistex packets for your on the go sun care needs. 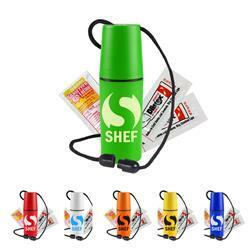 Personalize with your company logo for promotioanl giveaways, tradeshows, corporate gifts and advertising! Production Times Available: 5 business days standard for production. Rush available, please inquire! Includes one sunscreen and two Blistex packets. Cord Available only in Black color. This item is not appropriate for children 14 years or younger without parental supervision. Individual portioned ingredients are labeled by the manufacturer with instructions for proper usage. All products with a long cord are not suitable for young children 3 years and younger due to a safety hazard.